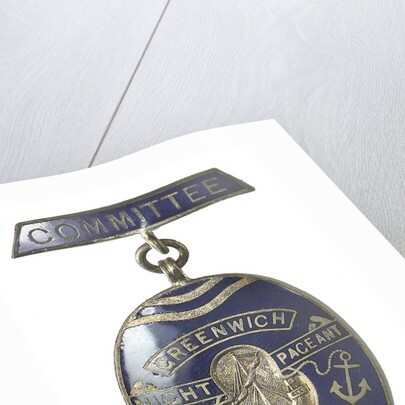 Badge of the Greenwich Pageant, 1933; obverse posters & prints by Fattorini & Son Ltd.
Badge of the Greenwich Pageant, 1933. 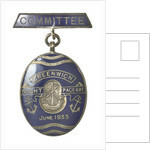 Uniface: Within an oval, an early sailing vessel, an anchor left and right. Waived lines above and below. 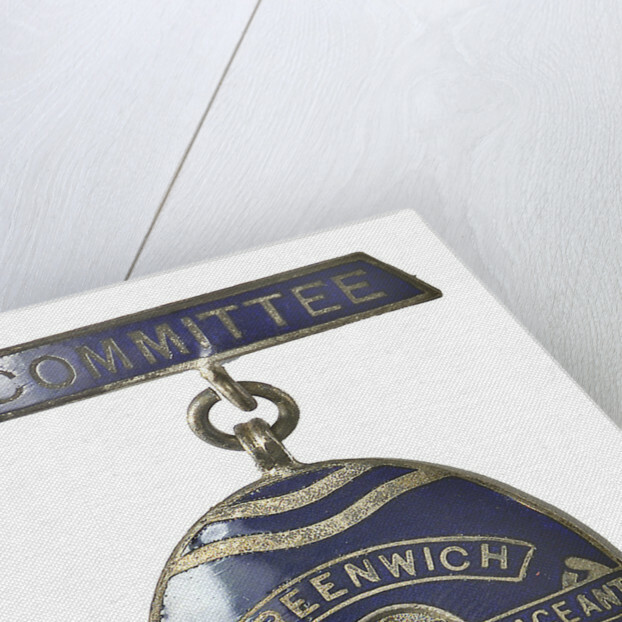 On separate bar above: 'COMMITTEE'. 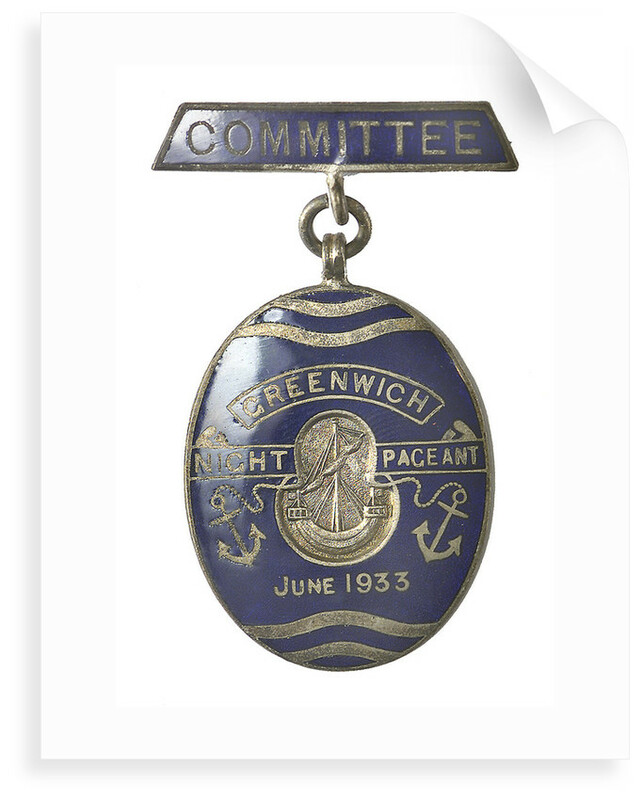 Inscription: 'GREENWICH NIGHT PAGEANT, JUNE 1933'. 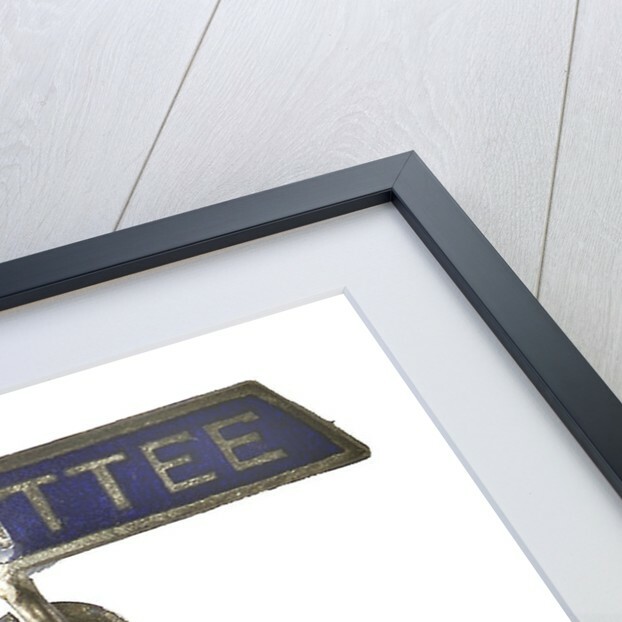 More by the artist Fattorini & Son Ltd..